 ESHCon regularly sends out an e-newsletter to contacts – here’s the latest from Sept 2014. It’s been a lovely summer and now I’m looking forward to a busy, busy autumn. With new legislation coming in, there are both challenges & opportunities. Now is the best time to embed the environment into core business practices. Follow me on Twitter for updates or please do get in touch for a chat. 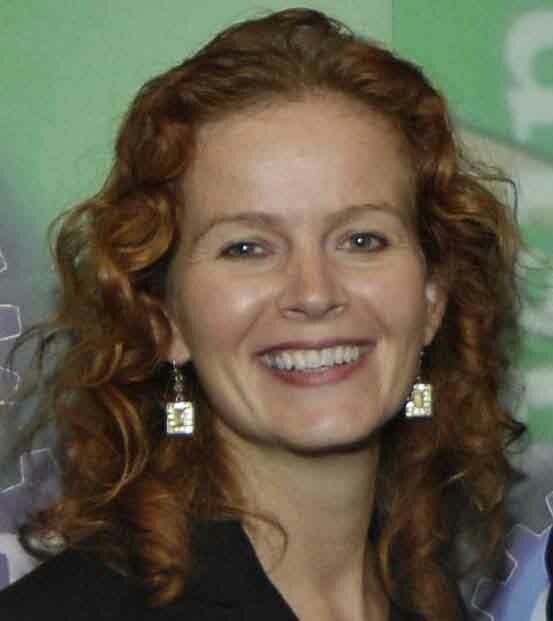 New legislation requiring large companies to audit their energy usage has recently been introduced; ESOS affects up to 10,000 businesses in the UK.All large companies (>250 employees or turnover >€50 million; some smaller companies within larger groups may also be affected) will have to complete an assessment of their energy consumption every four years. 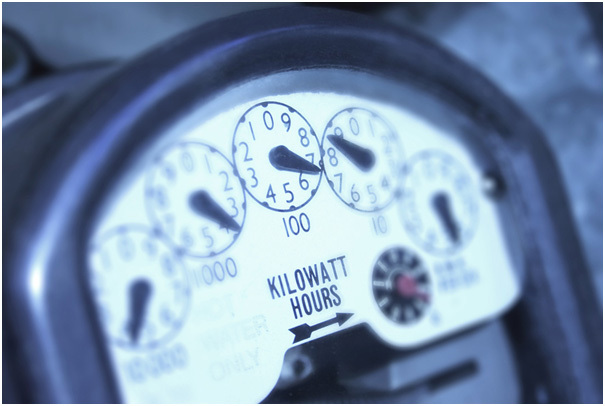 Energy audits must be done (or approved) by a Lead ESOS Assessor, producing a list of “cost-effective efficiency measures”, and signed off by the Board. The first audit must be completed & reported to the regulators by December 2015. 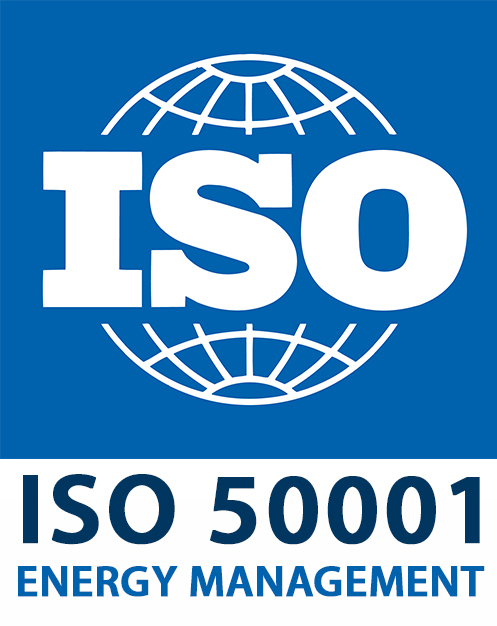 ISO 50001, the international standard for Energy Management Systems (EnMS), provides a framework to establish the systems and processes needed to improve energy performance, reduce greenhouse gas emissions and control energy costs. Benefits include cost savings, financial planning, quality improvement and risk mitigation.If your company comes under ESOS, then an EnMS certified to ISO 50001, ensuring it covers your significant usage, is one route to compliance. I was pleased to be invited to join the West Sussex Environment & Climate Change Board, on the B2B Group. We are currently preparing a Resilience Manual for businesses, to help them prepare for the impacts, threats and indeed opportunities, of climate change. And in the spring the next Forum will cover waste, with a focus on business waste: compliance, minimisation and the circular economy. With resilience in mind, how can we forget the dreadful floods last winter? Were you affected? Don’t get caught out – now is the best time to plan for flooding. Start by making a Flood Plan. There is a range of guidance on this on the .gov website – equally relevant to businesses and your home. You should also be separating out recyclables (including paper, plastics & cans), by the deadline Jan 2015. Speak to your waste contractor about this. For its latest International Business Report, Grant Thornton asked 2,500 businesses across 34 economies what is driving their corporate social responsibility activities. Globally, cost management is the main driver (67%). In the UK however (as shown in this diagram), customer demand was the top answer (62%), with recruitment / staff retention next (49%). 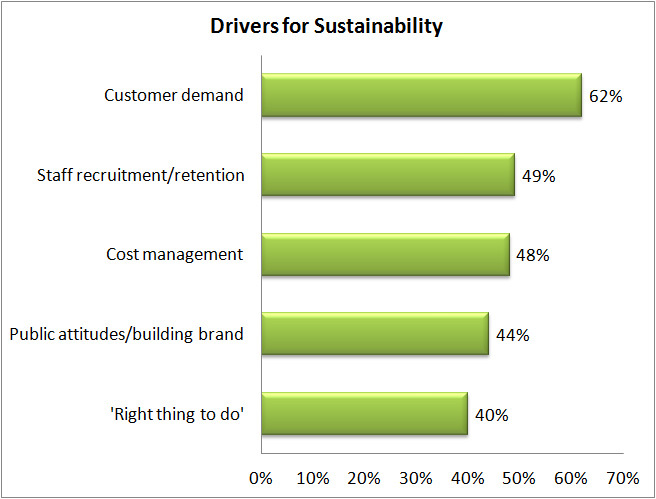 Many of the businesses I meet start out on their environmental journey to show commitment to their own customers. For example it is common requirement in tenders to have ISO 14001.